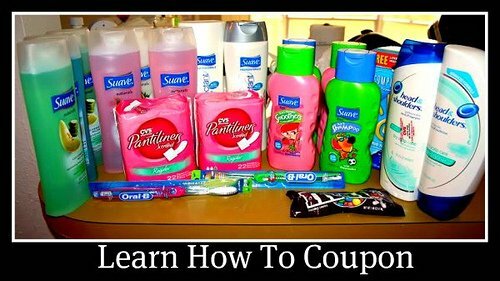 Do you know how to use coupons? Using coupons effectively requires strategy, planning and organization. The truth is, coupons are cash! Coupons need to be used properly and timed correctly to really make a big impact on your budget. When used without strategy, making the decision to use coupons might actually make you spend more money! To learn how to use coupons effectively, you first need to understand that coupons are a marketing tool, and if you don’t learn to use them strategically, you might just fall prey to the advertisement and purchase items you don’t need or items that have been marked up! When you learn how to use coupons with strategy though, you’ll be able to score hundreds of dollars of groceries and household items for a mere fraction of the price! 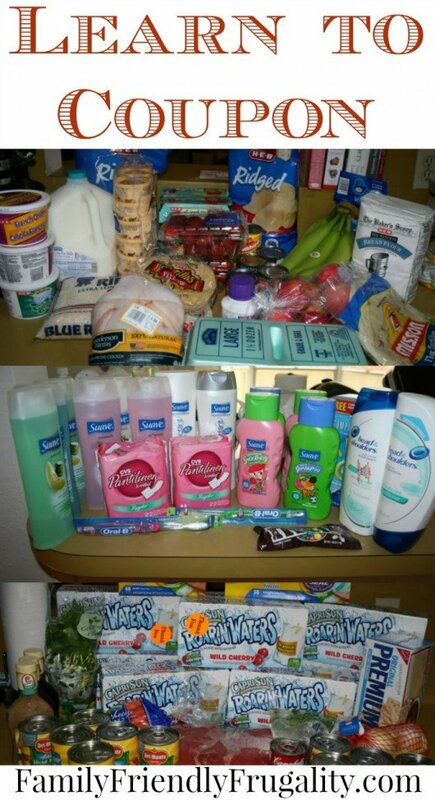 Below are my tips for using coupons effectively, and interspersed are some pictures of my best shopping trips. Use the methods I outlined in, “Strategic Shopping: Where Do I Find Coupons?” to gather coupons for the products your family enjoys. Unless you plan to barter your coupons through a coupon train on a forum, don’t worry about keeping coupons for items you don’t want or need (this means throw away the coupons for all that junk food!). There are some that suggest you keep all coupons in case a money maker deal comes up. You’d purchase the item and donate it, and pocket the money. This is fine, but it’s not something I personally do. Kellogg Family Rewards: Get exclusive coupons and earn rewards from your favorite Kellogg’s® brands. Realize that the day/week even month you get the coupon is not necessarily the best time to use it. Of course you’ll toss it when it expires, but until then you want to hold on to it until you find a sale worth pairing it with. The most important thing you need to remember when learning how to use coupons: Don’t ever use a coupon just to use a coupon. The real secret to Strategic Shopping is combining a coupon with a sale, or a store coupon (you can stack manufacturer coupons with store coupons in many places! ), or a store promotion…or if you are super duper lucky, all three! You’ll need to figure out some way to organize your coupons because you’ll likely begin to accumulate a pretty large stash. Make sure if your store has a loyalty program, you are signed up for it! Some stores won’t even give you sale prices if you aren’t signed up with their loyalty program. This means you’ll never get sale prices to stack your coupons with! Most stores advertise their loyalty programs heavily, but when in doubt just ask! When you learn how to use coupons, you’ll become very familiar with the employees of your local retailers 😉 . Print it out if you think you will run into trouble somewhere. Start keeping a price book either on the computer or in a notebook somewhere. Prices vary regionally, but when you learn how to use coupons you’ll notice that most products have a rock bottom price. For example, rock bottom price for boneless skinless chicken breasts for me is $1.77. I only see that price every few months, so I know when it goes on sale for $1.77 it likely won’t go any cheaper. However, I can get it for $1.99 on a pretty regular basis. So why would I ever pay $2+? 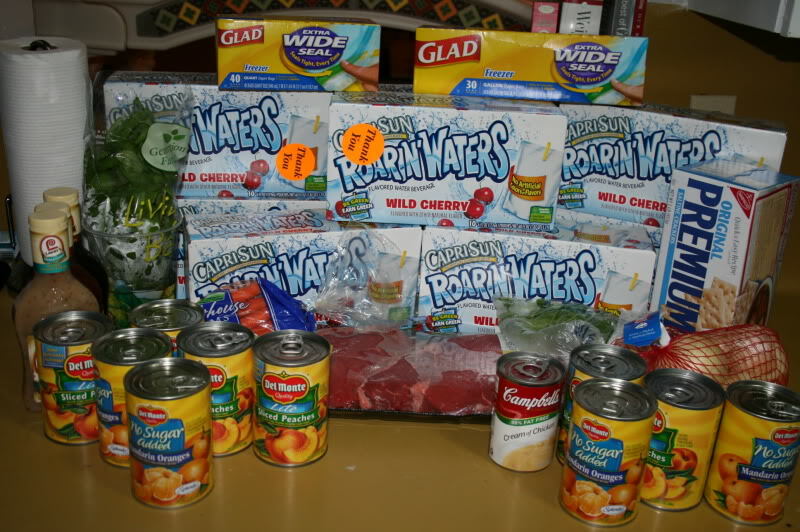 Getting to know prices is an important part of learning how to use coupons. If you don’t know what a good price is, how will you know when to use your coupon? Get to know the different stores in your area. Where you shop now might not be the most coupon friendly store in town. Just because a store has the lowest prices naturally, doesn’t mean they will once you start factoring coupons into the mix! 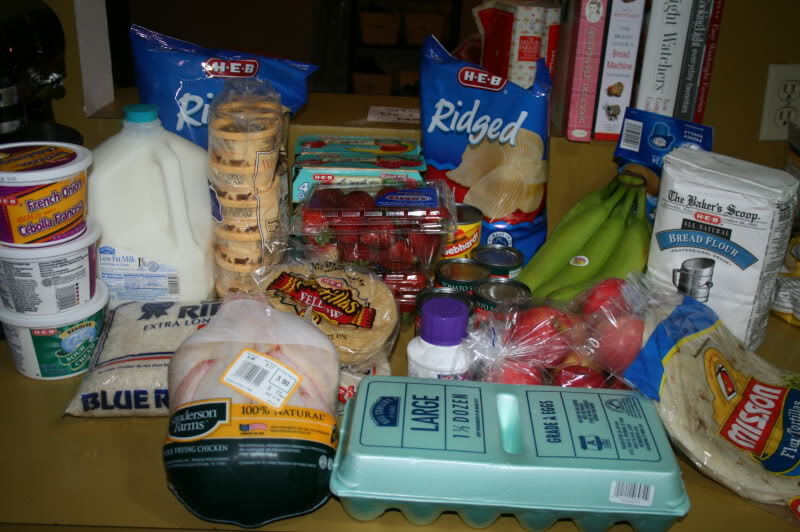 One example is HEB, a Texas based grocery store that I adore. They have lower prices then the other grocers in my area, however they aren’t very coupon friendly. Oh, they accept coupons just fine. However, they don’t double or triple and they tend to only put their own store brands on sale with puny coupons to match. Now, head on over to Randall’s (a Safeway affiliate), which is incredibly pricey upon first glance, and all of a sudden you realize why so many couponers shop there! Because they are more expensive overall, they can afford to take bigger losses with their sales. This means that that they have HUGE sales and store promotions often, in the hopes that the low prices will get you in the door and you’ll pick up all of your other necessities at the same time. That’s where #7 comes into play. Spread your shopping around. Pick a few stores (to start off just pick one or two until you get used to them) and just go in and cherry pick the good deals of the week. Once you get a pretty decent stockpile going (I have several articles in this series coming up later on stockpiling! ), you’ll realize that other then fresh fruits, veggies and milk, you rarely have to do full fledged shopping trips. You’ll just go grab the great deals and keep rotating your stockpile! Be realistic about this. Don’t run yourself ragged driving all over town. I make it a point to NEVER shop at more then 3 stores in a week and honestly I try to keep it to two (one drugstore and one grocery store). If you are spending too much gas, energy or time on your shopping it stops paying off as much. Part of learning how to use coupons is learning how to shop smart and quick, otherwise your time and effort ends up canceling out your savings. Let go of brand loyalty. Yes, I said it! This is a BIG part of learning how to use coupons. Other then for nutritional purposes, you buy what’s cheapest. Many times with strategic shopping, that is the brand name item. However, if someone in your family has a specific allergy or you are trying to avoid a particular ingredient be sure to take that into account. Don’t compromise health for savings…ever. Bigger isn’t always better. Let go of the notion that buying in bulk is always the best way to save money. Sometimes the bulk item might be cheap, but the smaller item will be free! This is where multiple coupons really matter. I buy 3 papers every week so that if the smallest item is free, I can get 3 free instead of one large. Use coupons ethically. This is so important. If you haven’t heard, many stores are a bit coupon skittish lately. The problem is, there are people out there that try to cheat the system. Coupons when used ethically, don’t hurt anybody. However, when used unethically, it hurts everybody. Everyone makes mistakes, but don’t even intentionally try to cheat the system. The savings aren’t worth the damage. You can learn how to use coupons. You can become a strategic shopper! Coupons save money for the family, however people should not greedy about using them. Thanks for sharing these tips. How does Walmart handle price matching? I’ve started doing it with produce…but what about store brand items from a local store that are on sale but Walmart doesn’t carry that store brand? Can you substitute their store brand item? How can I find a way to save and stockpile period but mainly on non food items when I have little cash to buy non food items? 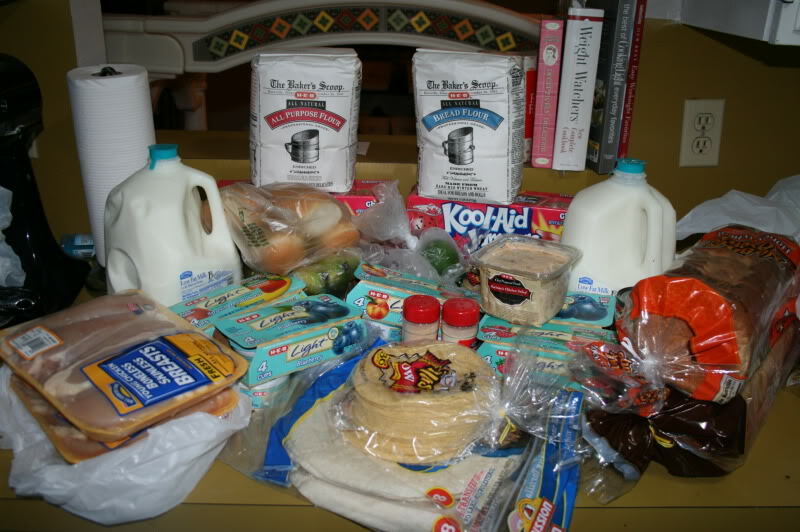 Definitely be sure to check out this post: https://www.familyfriendlyfrugality.com/strategic-shopping-how-to-stockpile/ To take it a step further, start small. Like tiny tiny small. On a regular basis, I post deals that are free or money makers. All you have to do is have the coupons for it. So buy a few papers a week. Take that money from your grocery budget and take something else off (have a few meatless meals, eat breakfast for dinner, etc) so you can buy these newspapers. 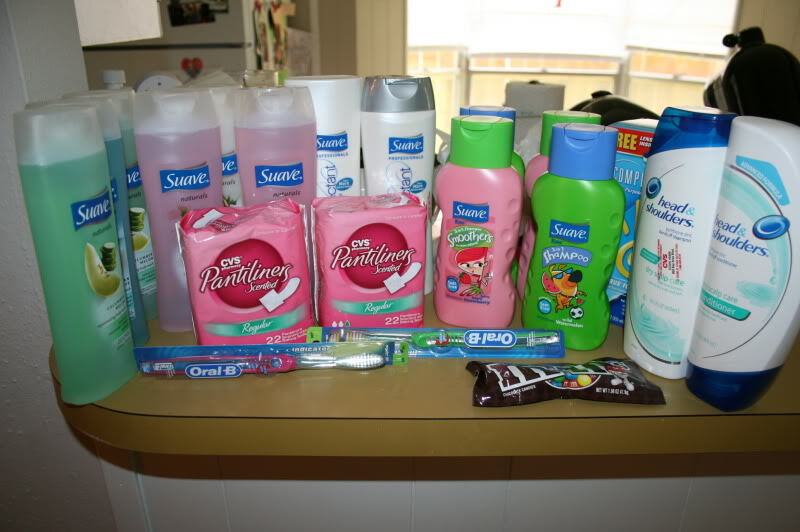 The next time I post a free toothpaste/household item, go out and stock up on it. Repeat, repeat, repeat. 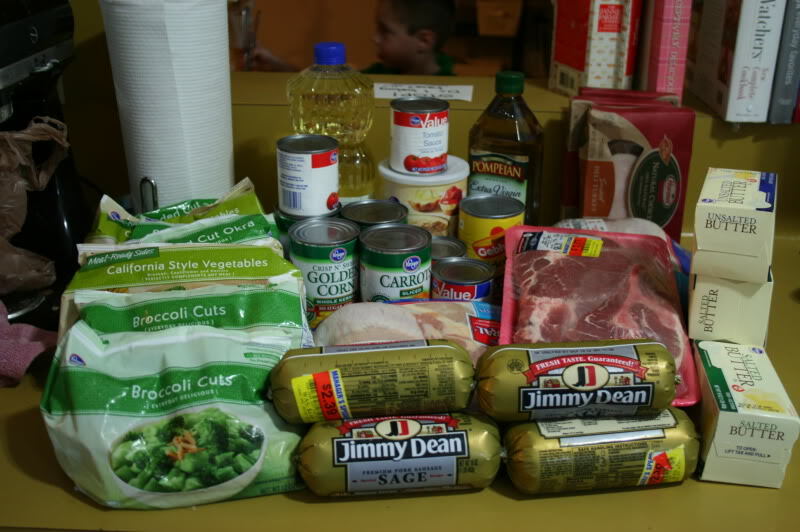 Over time, you’ll find yourself building up a small stockpile and you won’t have to spend as much on your non food items so you can allot more of your budget to not necessarily free, but good cheap stock up prices. Trust me, when I started, my husband balked at me spending almost $10 a week on newspapers. We just didn’t have that kind of wiggle room. But it was TOTALLY worth it. Perhaps you couldn’t care less, but I read your blog daily and just thought you may want to know…lately, there has been much misuse of the two words. Sorry in advance if I’ve offended you; my intent was to help. Have a great day! Maybe you shouldn’t read her blog if something so small bothered you enough to post a comment like that. I’m sure in your mind you thought you were being helpful but really that was just rude and I’m sure you know that. I was just wondering, how do you find out the bottom line price to make sure you are getting the best deal?? I am a SAHM so im trying to make our money stretch as most people are these days!! The best way to get a bottom line price is start carrying around a price book. It can be digital or paper, it doesn’t really matter. Basically, you are just going to right down the name of the product, the price of the product and the date you recorded that price. Over time you will notice a trend. This is the price without coupons, but it can be the sale price. For instance, the cheapest boneless skinless chicken breast ever goes on sale where I live is $1.77. I know this because I recorded the price for months. It never ever dropped below $1.77, but consistently dropped that low at least every 3 weeks. So when I would see the chicken for $1.77, I made sure to get enough to last us 3 weeks. Does that make sense? I should really do a price book post! Can you use digital and paper coupons together at dollar General? Yes, but you will not be able to combine multiple manufacturer’s or multiple Dollar General coupons for the same item in the same transaction. … Redeemed coupons will be indicated on your printed cash register receipt and on your DG digital receipt.